These FREE online tests were designed to accompany lessons that appear on Garden of Praise. Teachers may register and allow the students in their classes to take the tests which will be computer graded. The teacher can then print out the resulting grades. There is also a printable version of each online test. and if possible work some of the accompanying activities before taking the online test. The newest activity, Jeopardy, as well as the other activities can be used as practice before taking the tests. Thanks to my son and daughter-in-law, Elton and Leslie Smith for helping to produce these activities. Visit them at Songs of Praise. 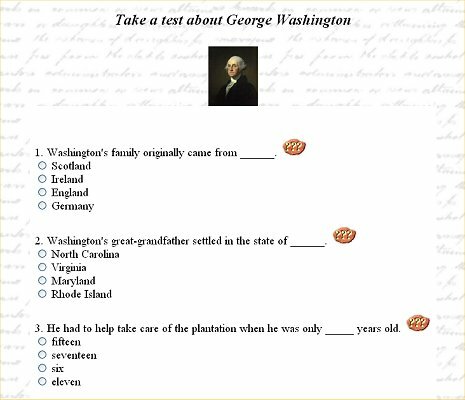 These online tests can also be used in reading classes to teach reading comprehension and reading for detail. Teachers, register or login to administer your classes. There are currently 236 tests and 15521 registered users. Bible Lesson tests have been taken on this site 92714 times with an average grade of 87.1. Biography tests have been taken on this site 77252 times with an average grade of 78.6. Art lesson tests have been taken on this site 13879 times with an average grade of 82.9.